The electric oven I have, Its maximum heat is only 250 Celsius. If I wanted to make a bun in it, How to preheat? & How much time I have to heat? & how many Celsius to heat? Most bread products cook well at about 200C. As others have stated 200 C is suitable for baking bread, although a little high. Most recipes specify 170-180 C; the dial on your oven may be fully adjustable or it may only work for set temperatures (in which case it will click to each setting). As to the time of baking, this depends on how big your loaf/bun is. Generally breads cook for somewhere between 15 and 30 minutes - look for a recipe with the style of loaf/bun that you like and follow that. Make sure that the rack is set to the middle of the oven and take note of how close this is to the top of the oven - this will dictate how big you can make your loaf/bun. As you have what is called a toaster oven, baking is a little more difficult than in a regular oven due to the proximity to the heating elements. To adjust for this you will probably want to reduce the cooking time a little or cook at 150 C for a longer time. It may also help to cover the top of the loaf with foil for first part of the cooking process (max 10 min I would guess). Do not open the door more than once during the cooking so as to maintain the oven temperature and get a proper rise out of the dough. To pre-heat the oven you will need to turn the temperature dial to the setting you want, turn the middle dial to the bottom element only (the setting opposite the off setting). Turn the bottom (time) dial to 60 and let it run. 10-15 min should be enough to pre-heat. 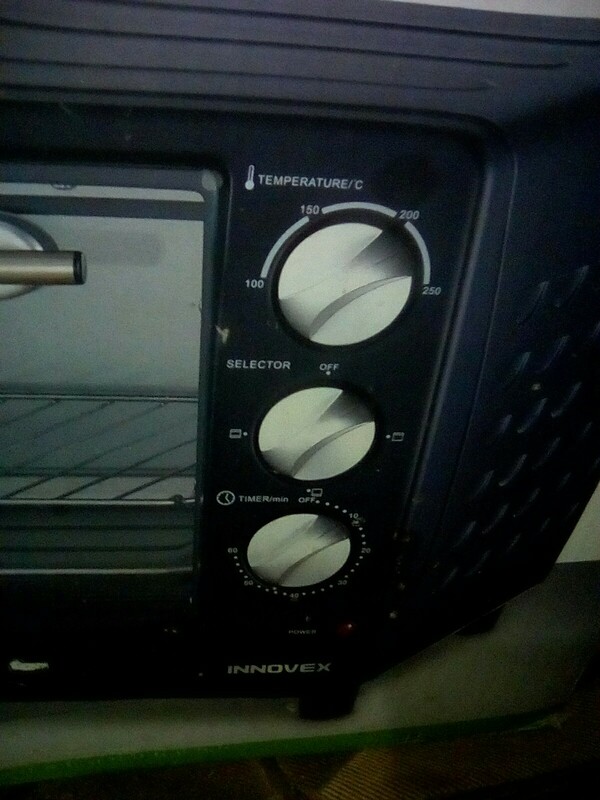 Some ovens of this type have an "at temperature" indicator light that turns off when the oven is at the set temperature - in your case this may be the power light you can see on the bottom right. Ovens of this type are notorious for not holding their heat well - make sure that the door is open for as short a period as possible otherwise the oven will cool down a lot and the dough will not cook as expected. How long to preheat an OTG?